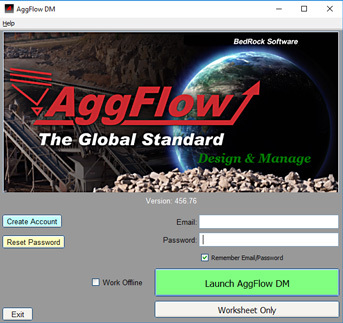 If you have not already downloaded AggFlow DM, click here to download. Make sure to install AggFlow DM with Administrator priviliges (you may need to consult with your IT department). 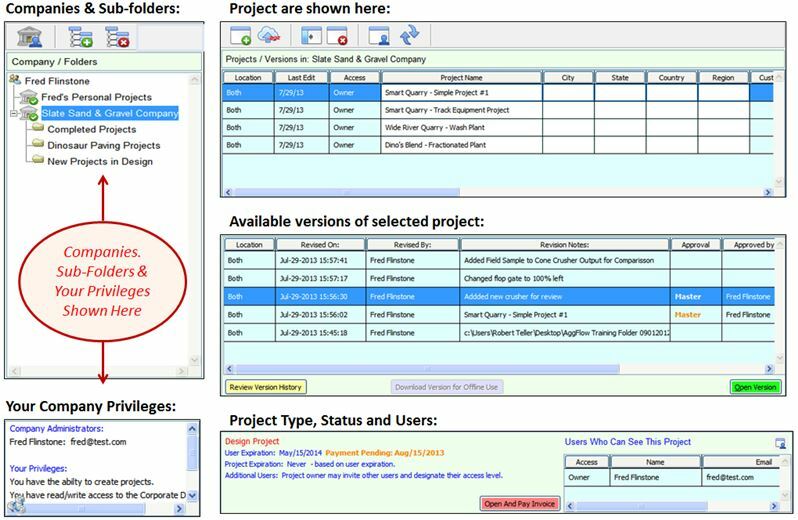 Access, organize, manage and share all AggFlow projects and work from the AggFlow Control Panel. 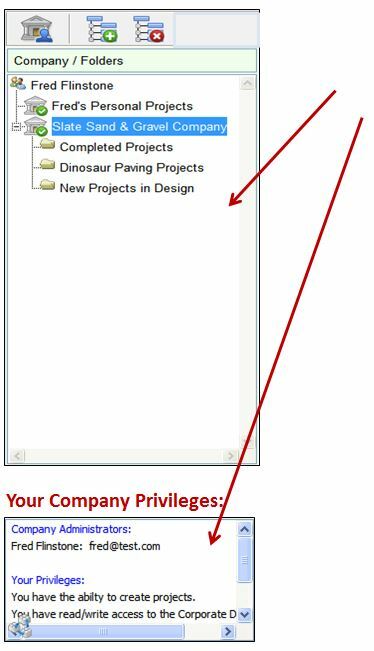 No one can ever see your companies, folders or project work unless projects are shared. They are unique to your login. 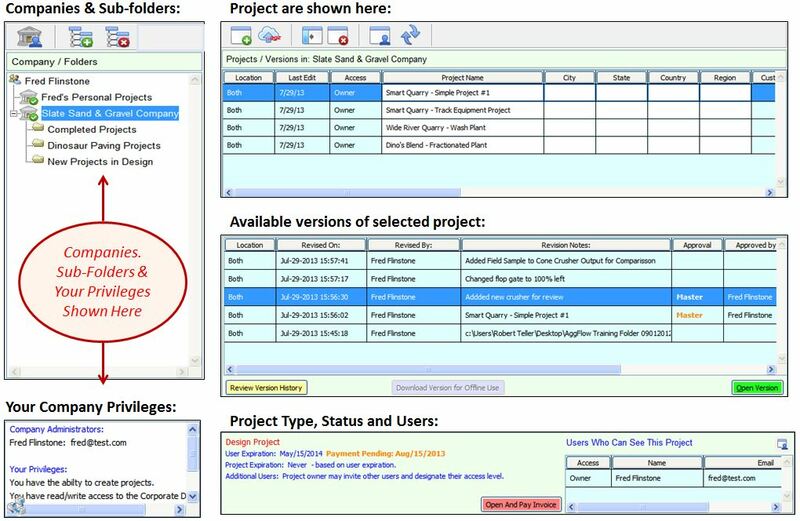 Other users can only see projects that you invite them to see. 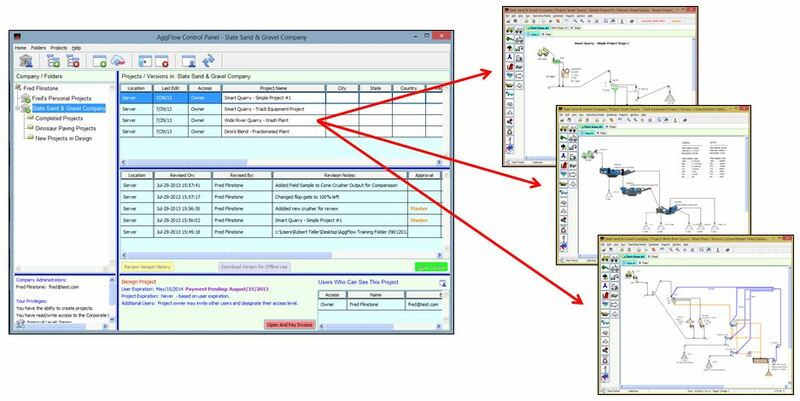 Multiple project revisions can be open at the same time allowing copy paste between worksheets. 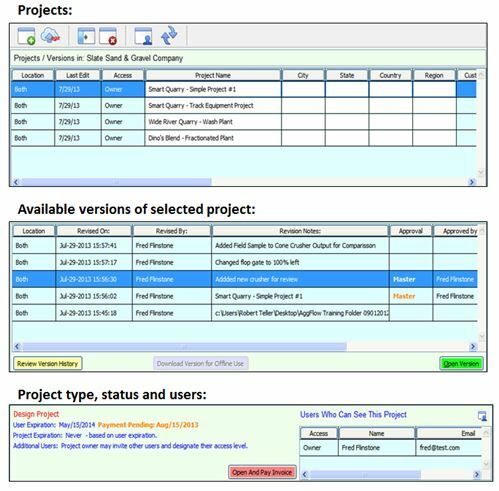 Create or access projects at will (when creating a project you can choose a Design or Manage Project). 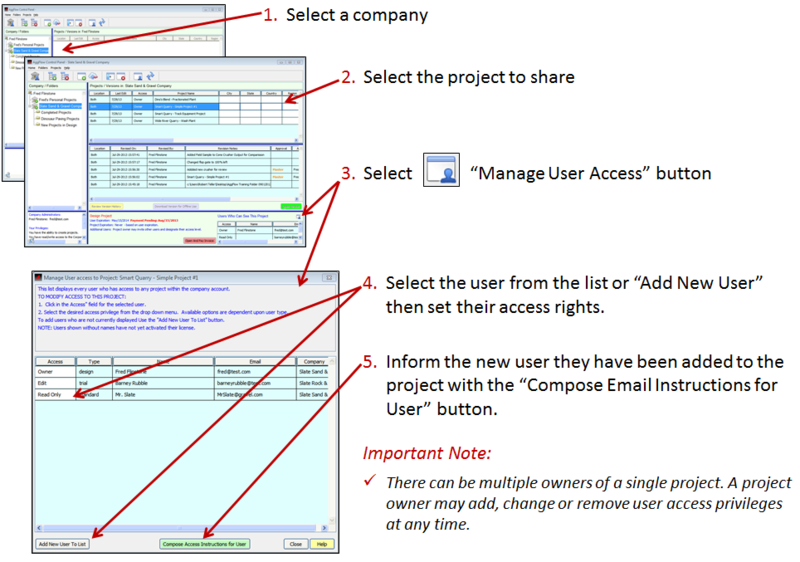 Create unlimited Companies and Folders/Sub-folders. You are the Administrator for any company you create. 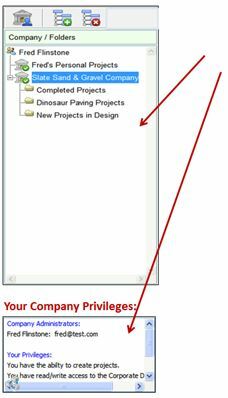 No one can ever see your companies or folders or project work. If you invite others to a project they will only see the company name and that project on their list of projects -- nothing else. See your Privileges in the company here. You are the Owner for any project you create. Tip: Select any item and Right-Click for available options. 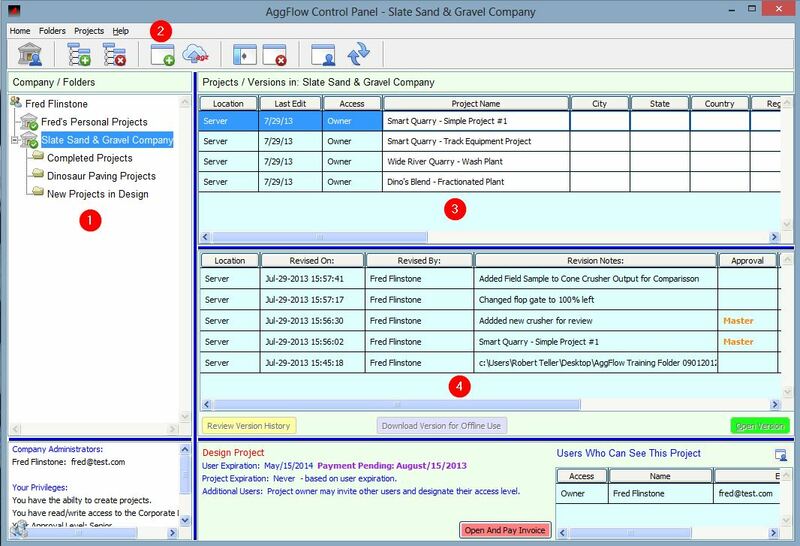 Select an existing project and revision to open. Double-click the version or select "Open Revision". The worksheet for the selected revision will open. 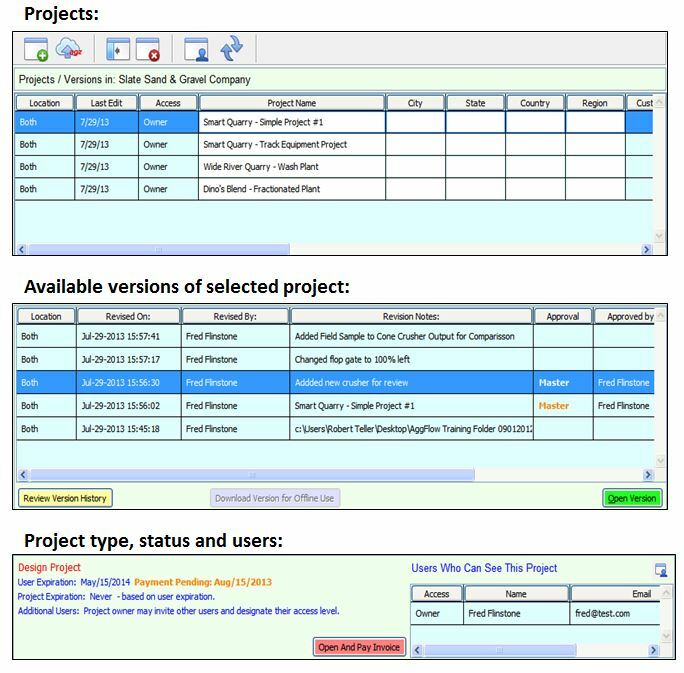 Multiple project worksheets can be open at the same time. The Control Panel will remain open at all times. Tip! - Drag and drop individual or multiple AGZ or older files from your computers folder directly on to the AggFlow Control Panel. 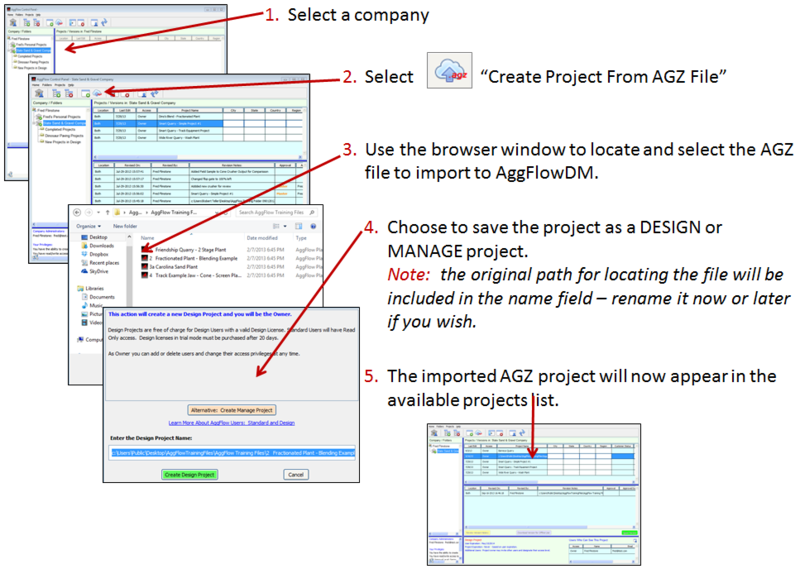 Projects will be imported into AggFlow DM as new projects with a revision. Click here to see a video of this in action.